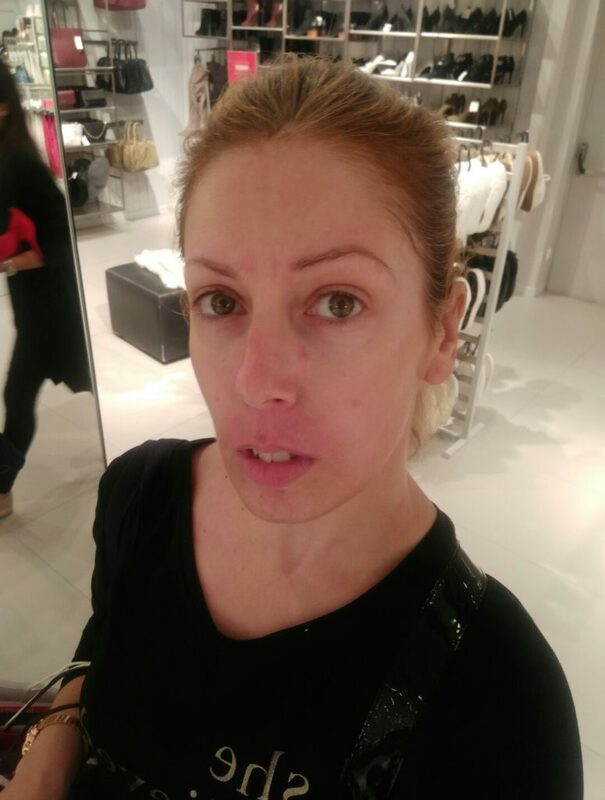 I know I’m jumping a tad late onto the whole facial threading craze but I recently had my first experience in Lisbon (Portugal) at Wink in Colombo Shopping Centre. For a long while I had wondered about it for so long when it first came out and every time I walked past Just Threading at the Westfield Geelong Shopping Centre and would watch, as I walked past, the beauticians work on their clients face in amazement. Thoughts would always buzz around in my head when I would watch: “Did it hurt the girls?”, “It didn’t look like it hurt. It actually looks relaxing.”, “Wow! Look at how fast she is threading that girls face!”. So here I am walking around the shopping centre at Colombo and I came across Winks, a threading salon. I’m standing right in front of it and think, why not! I’m going to try this eyebrow threading. YAY!!! So, what is facial threading? I will set the scene for you and I do apologise ahead of time, that there may be some foul words said but it’s the only way to explain how I was feeling and what I was actually experiencing. HOLY F**K! What the…?!!! OMG!! This hurts!! OMG this really hurts!!! …Is it over yet???!!! Those were the exact words that went through my head. I am not over exaggerating. I am deadly serious that’s how it felt for me. Perhaps I am wuss or that my skin is a lot more sensitive than normal but it seriously freaking hurt! Finally the right side was done and she moved onto the left eyebrow. After a few seconds of the therapist working on my left side, tears started to trickle down the side of my face. No sorry… they were running, pouring down the side of my face. I was literally in shock of how much this was all hurting. I kept having flash backs to seeing those other women back home in Geelong (Australia) and how relaxed they looked. Why wasn’t I feeling that way?! Bah! The therapist took a few seconds break and I quickly wiped away the tears, hoping that she didn’t see it and think what a mega softy I am and then she went back at it. Oh. My. God… it HURT! Once the eyebrows were all done, she then moved onto my upper lip. I was told by the therapist that the upper lip is one of the most painful places because there are hundreds of invisible hairs that you just can’t see and that it may hurt a tiny bit. A tiny bit??!!! It was completely worse than the freaking eyebrows!!! The only positive thing I can say was how smooth my lip felt.. but oh my Lord, that seriously freaking hurt like hell! In all it took around 20-25 minutes to do both brows and including my upper lip. But I will say, for me, it was one of the most traumatic experiences I had ever felt. I wouldn’t like to say I’m a wuss or a wimp as I’ve had a couple of intense surgeries in the pat and I’ve never complained from the severe pain …but at this very moment, I’m really not sure if I will get it done again. I think I’m pretty much happy to continue plucking my eyebrows with my trusty tweezers but then again, I may try again and see if it hurts less going a second time round, and perhaps with a different therapist. Who knows. Literally the therapist I had went full in attack at my face with the cotton thread. She was really lovely and she did a great job but it did feel like she was going into a war battle. I did have a slight (!!) reaction to the threading once it was all finished, where sections of my eyebrows and upper lip area went red and broke out a tiny bit but apparently this can happen. You will temporarily experience a bit of rosy skin in certain areas. So, if you’ve got a big date I would personally hold out on it for a couple more days, haha! Your therapist will ask you to help her, by holding onto your eyelids one at a time in different directions, so that the skin is nice and tight and works for her. Make sure at the start of your session, you tell your therapist what you want done. And once she has finished, make sure you check the results and that you are happy with the end product. If there’s some hair still out of place, let her know. If you have the therapist fill-in your brows with product, make sure you don’t apply concealer/foundation afterwards as makeup could clog the pores left open by the hair removal and cause spots. The threading lasts for 5 – 6 weeks, so don’t pluck any little hairs that grow if you go back to your threading therapist. Have you had facial threading done before? If so, tell me about your experience.